As technology becomes an increasingly prevalent and enduring part of education, Lingo Media has identified Latin America as one of our prime target markets for growth. 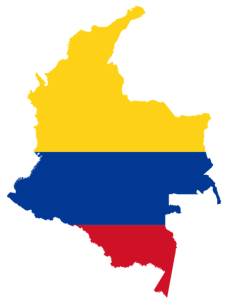 Members of our team are working to secure additional contracts and continue building our sales pipeline in Colombia and across Latin America. With more than 600 million people, smartphone penetration that is forecast to increase from about 25 percent today to approximately 50 percent by 2018, an educational system that has fallen behind the developed world and a historical lack of accessibility, Latin America presents an interesting opportunity for those in the EdTech space and investors who believe that there are ideal conditions for innovative disruption in education and language learning. The Pacific Alliance countries (Mexico, Colombia, Chile and Peru) in particular offer an interesting opportunity. They have a combined population of 206 million and US$3.4 trillion GDP. They share a common language and have some uniformity across educational systems. Within the past few weeks, Lingo Media has announced an agreement to reach Mexican commuters with targeted advertising, a deal with the Peruvian Navy, and another deal that puts ELL Technologies in Colombian Classrooms. Most of us have heard about Colombia’s economic success – the country’s growth has approached five percent in recent years while unemployment is the lowest in over a decade. In addition to significant capital contributions in the energy sector — Colombia produces in excess of one million barrels of oil per day – it hosts an extremely welcoming and prosperous business climate. More must clearly be done, given that Colombia scored near the bottom of the most recent international PISA tests. Still, the country showed clear progress in its most vulnerable schools in particular, and made improvements in areas such as teacher training that will be critical for the future. The persistence shown by Colombia’s leadership is an example that hopefully the rest of the region can replicate. President Juan Manuel Santos has set an ambitious goal for his country, challenging it to become Latin America’s most educated country by 2025, reemphasizing a long-standing, long-term goal of the Colombian government to develop a workforce equipped to compete in the globalized economy of the twenty-first century. To achieve this goal, the government is committed to improving the language skills of the workforce, and over the last ten years has been building capacity and professionalizing the teaching and learning of English. Lingo Media strongly believes that it’s up to this challenge and will do whatever it can to enable more accessible and efficient language learning throughout the country.